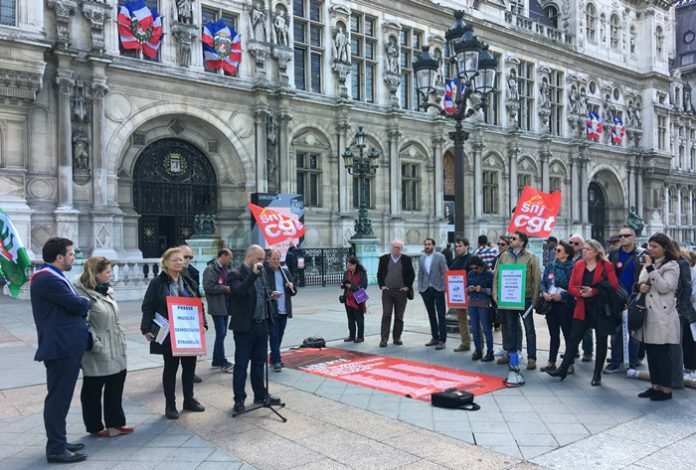 The International Federation of Journalists (IFJ), National Journalists Union (SNJ) and CFDT-Journalists voiced concern for journalists jailed in Turkey and expressed solidarity with them in a program organized for World Press Freedom Day in Paris. The names of the jailed Turkish journalists appeared on a banner at the venue with a picture of Turkish President Recep Erdoğan, with a call to him to release the 151 journalists who are currently in prison. Expressing how the Turkish media had come under the control of Mr. Erdoğan, Dündar called on the international media and journalists to help Turkish journalists in their fight. Turkey is ranked 157th among 180 countries in the 2018 World Press Freedom Index released on April 25 by Reporters Without Borders (RSF).